I never believed I could fall in love so quickly… with a lipstick. I’ve spent 90% of my make-up wearing life as a lip gloss loyalist, but over the last year I’ve been trying out more lipsticks. As with many of my make-up romances, it all took place at Neiman Marcus, where I was doing my usual browsing, checking out what’s new. All of a sudden, I got the impulse to try on Chanel lipsticks. Having always read about how fabulous they are, I thought I’d give their lipstick line a test drive. After the salesperson walked me through the different varieties, I determined that Chanel’s hydrating lip crème colour Rouge Coco line would be the best fit. It’s not as pigmented as their newer Rouge Allure line, but I was more interested in a moisturizing formula since my lips tend to get dry and flaky when wearing lipstick. And here’s where the real magic happened. I skimmed over the display and picked one and only one tube to test, Vendôme. Perfection. The Good: Before I even begin to discuss the color, I have to start with the packaging. True to the Chanel reputation, the packaging is very luxurious. The signature interlocking Chanel “C”s are embossed in white on the top of the black and gold casing. I’ve read that Chanel spent a lot of time developing the perfect lipstick tube. It’s weighty and made of metal, so when you reach in your purse for your lipstick, the tube is cold to the touch and quickly identifiable. Lastly, the tube closes with the perfect locking and audible click. The formula glides on smoothly; the color is rich and lasting but not at all cake-y. It feels light upon application but doesn’t feather, despite my not using a lip liner. 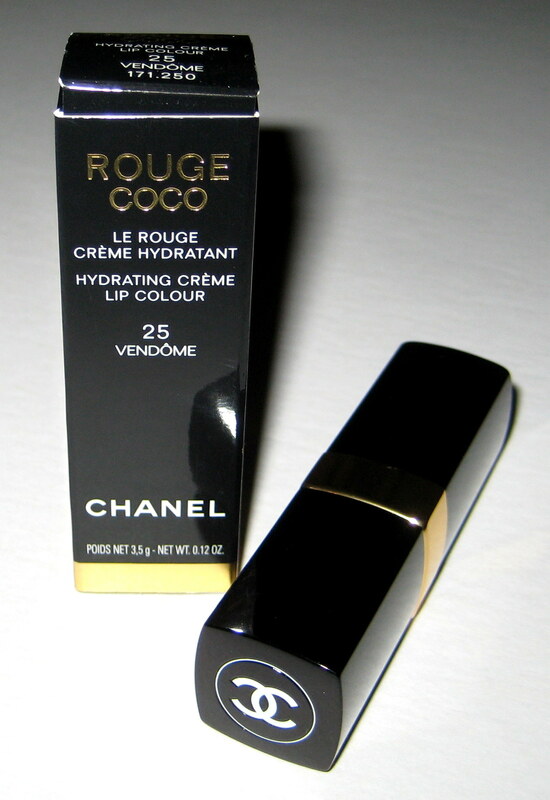 And where Rouge Coco really won me over is that it doesn’t dry out your lips over time. I’ve never experienced that in another lipstick. Next, let’s talk about this color. Vendôme is a brick red, with more brown undertones than orange, but a warm shade nonetheless. 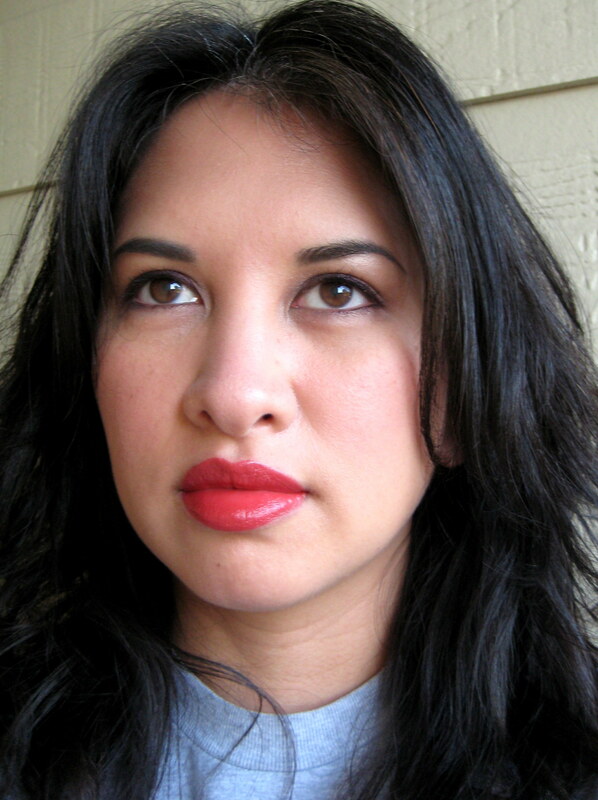 That same evening at NM, I ran into a friend who instantly complemented me on my lipstick. This lip color is a good compromise for an office-appropriate but bold lip. The Bad: There’s only one thing I don’t like about this lipstick. It’s pricey – $32.50. However, the formula is so fantastic, I’m anxious to buy two more shades and send in my membership to the Ladies Who Wear Lipstick club. The Verdict: I LOVE THIS LIPSTICK. It really is the best formula I’ve ever tried on. Rouge Coco is emollient with good pigmentation, and the luxurious tube makes it a delight to apply. With more than 30 shades to choose from, I’m sure you can find one that you’ll love, too. Spoil yourself and pick up a tube for yourself. Every girl deserves a little Chanel. 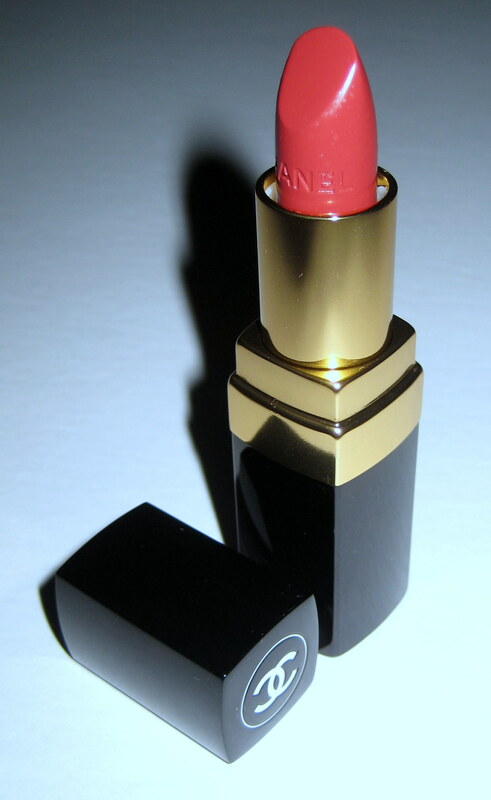 This entry was posted in Vanity and tagged Chanel, hydrating, judicial review, lipstick, luxury, red, Rouge Coco, top rated on November 4, 2012 by jenn. That color looks awesome on you. I’m almost afraid to try it as it might be a new must-have. Several years ago you got me hooked on DiorShow Iconic mascara, so I’m sure I’d love this too!